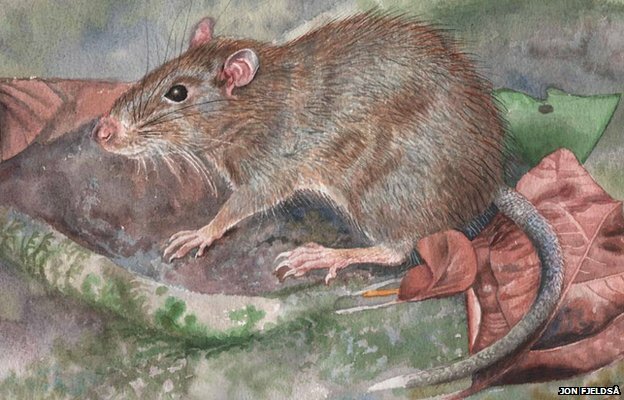 One type rat discovered as new species in Halmahera. The results are revealed in the Zoological Journal of the Linnean Foundation, October 2013 issue. “We call this a new species of mice with Halmaheramys bokimekot,” explained Pierre H. Fabre, from the University of Copenhagen in the study abstract, which is spread on Sunday (22/9/2013). 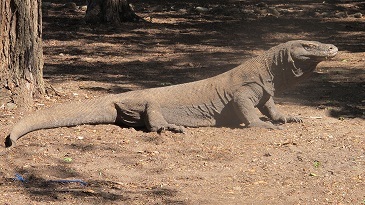 Komodo as endemic fauna in Indonesia. Komodo dragon become the new seven wonders of the natural world, after the inauguration was held on Friday (13/9/2013) in the Komodo National Park (KNP) in East Nusa Tenggara (NTT), Indonesia. “We are proud of this award, this could be a trigger for the betterment of the nation,” said President of Indonesia, Susilo Bambang Yudhoyono, who was present at the inauguration ceremony. Indonesia is known as a mega diversity country. Wealth of flora and fauna in it, is very diverse and numerous. Proven to palm plant species, are the first in the world. With 477 species, 225 endemic and native in Indonesia . Palm tree, are widely grown in Southeast Asia. Because of the tropical climate and the type of lowland forest, meet in many of the area. Unification of several Southeast Asian countries called Melanesiana. It including Indonesia, Malaysia , Singapore, Brunei Darussalam, Philippines, East Timor and Papua Nugini. So naturally when plants therein, such as palm, is almost the same average . There are more than 1800 species of alien flora and fauna, have entered Indonesia. Several unidentified species existence . This was stated by Deputy Environmental Degradation Control and Climate Change Ministry of Environment of Indonesia, Arif Yuwono, Wednesday ( 28/08/2013 ) . “Alien invasive can cause significant economic impact, such as the costs to be incurred to conduct prevention, control, and loss of production,” said Arif. High deforestation rate, making the location of orangutans living increasingly gone. Distribution also narrowed orangutans live. Higher conflict with humans, and foster new behaviors often start walking. “Orangutans are in trouble now, because their habitat disappears. They need a living tree, but a lot of natural forests converted into oil palm plantations, “said Niel Makinuddin, from The Nature Conservancy (TNC), Thursday (22/8/2013). What is the rarest plant in Java? That question came out from my nephew mouth. Its looks an easy question, but the answer turned out to make scratching of your head. What did the rarest plant species? Among the variety of plants in the land of Java. Then how to find out? Global Tiger Day will be echoed again on 29 July every year. However, the development of tiger conservation in Indonesia, is like walking with short steps. Without the direction and speed of policy, estimated in 10 years tigers will be extinct from Indonesian jungle.